As I have been explaining from time to time over the past few years, there are numerous methods in the Vashikaran Tantra to attract a man, woman, child or animal. In this post, I have described an uncommon Vashikaran Experiment where a Vashikaran Yantra is drawn on the leaves of the Cauliflower Vegetable, known in the Hindi language as the Gobi. 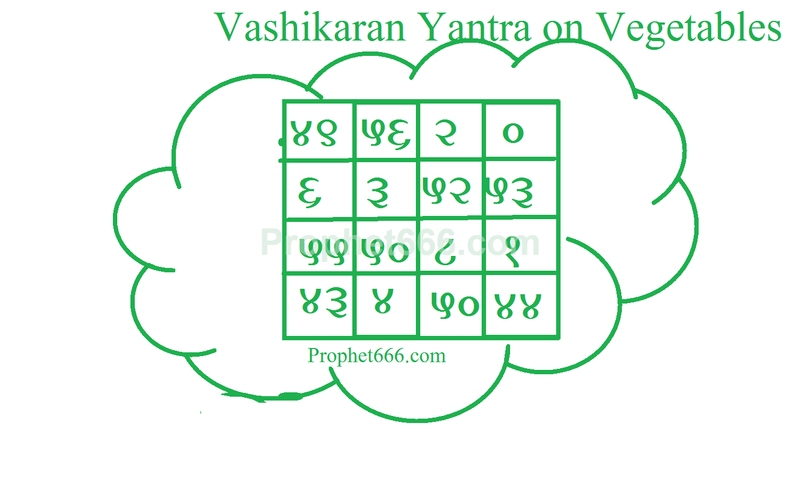 The Vashikaran experiment can be started on any day at any time, the Vashikaran Yantra which I have show in the image has to be drawn on the leaves of the Cauliflower Vegetable 108 times to gain Mastery over the experiment and be able to practice it successfully. The Yantra should be written with a pointed wooden stick using the mixture of Gorochana and Misri [also known as Khadi Shakkar, which is Indian Rock Candy or Lumps of Sugar Crystals]. The Gorochana and Misri have to be taken in equal quantity and powdered and it a little bit water has to be added to prepare a paste. 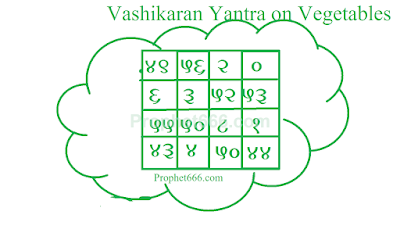 Once the practitioner has gained Siddhi over the Tantra, he can perform the Vashikaran experiment to attract and put a Voodoo Spell of enchantment over anyone by preparing the Yantra and showing it to the desired person. Do we need to draw the mantra on a single leaf 108 times or 108 separate leaves need to be used? Also tell us, this has to be done on a single day or over a period of time? Small pieces of the Cauliflower leaves do, the Yantra has to be drawn 108 times separately. It is better to complete the Siddhi Sadhana in a single day. The actual Vashikaran Prayoga can be preformed anytime.